Author: Murphy, D.J. Set In . . . Description: A psychological thriller where two worlds collide and love triumphs. A gripping novel, inspired by a true story. Top reviewers on Amazon.com, where it averages 4.5 stars, give it rave reviews. The novel is set in the fall of 2002, a few months before the American invasion of Iraq, in New York, Paris, the French Alps, Saudi Arabia, and Baghdad. 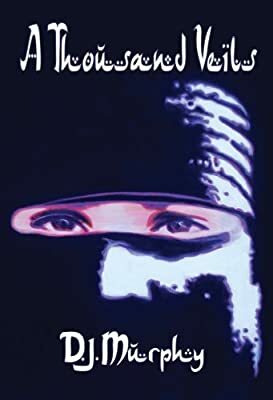 When Charles Sherman, a Wall Street dealmaker, learns that an Iraqi poet and journalist is trying to flee Saddam Hussein and seek asylum in the West, he reluctantly comes to her aid, then becomes inextricably bound up in her fate. How this thoroughly American man and this resourceful Iraqi woman, bound by their common humanity and their love for each other, manage to evade Saddam's secret police and, in the bargain, achieve eventual redemption, sends a powerful message to the post-9/11 world. The novel stands as a testament to the importance of individual effort and perseverance in a world beset by profound cultural misunderstanding. The novel points the way toward eventual reconciliation and synthesis between Islam and the West. DJ Murphy is a retired international lawyer, whose practice included representation of refugees seeking asylum in the United States.